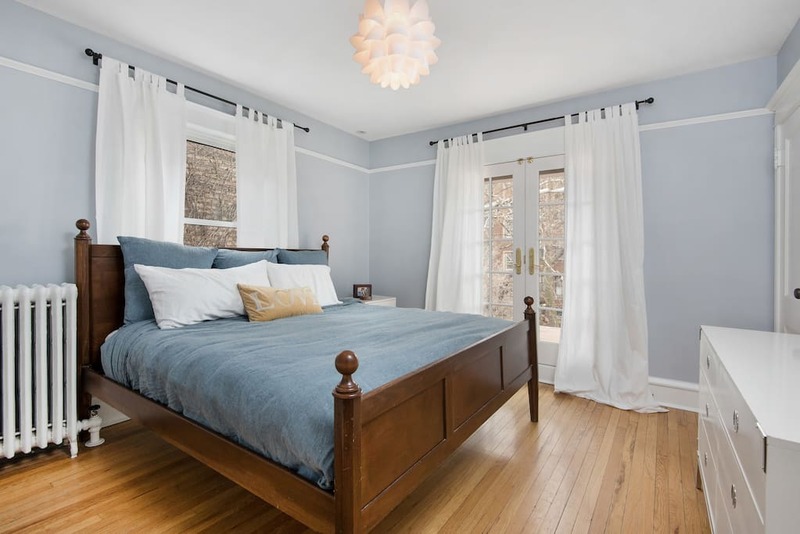 Up to three people can stay in this private guest bedroom and bathroom of a third-floor walk-up. The owner lives in the condo which is in East Rogers Park, Chicago. 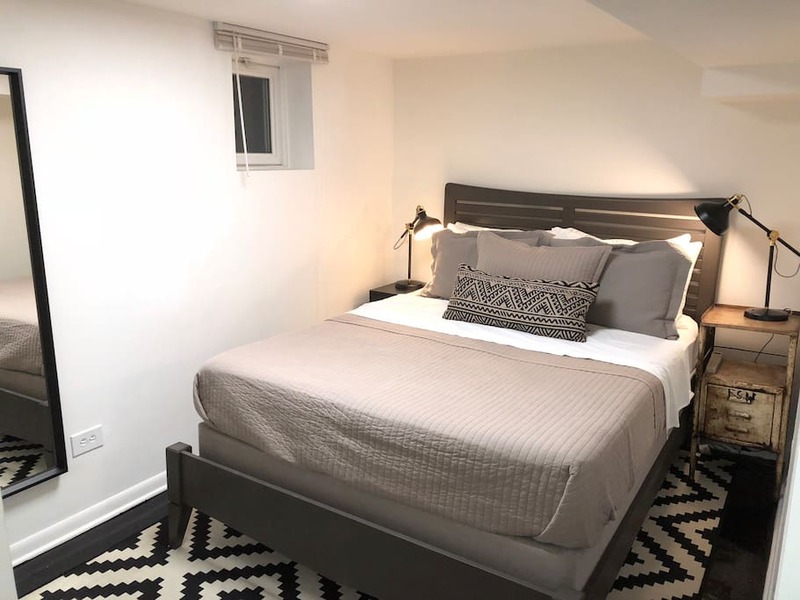 The condo is conveniently located just steps away from Layola University Chicago and you can easily take public transportation or Uber to Wrigley Field or Downtown Chicago. The beds have memory foam mattresses and the bathroom has a jetted tub and a shower. 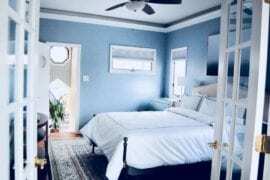 The room has two beds and can accommodate three guests. It costs just $30 nightly. 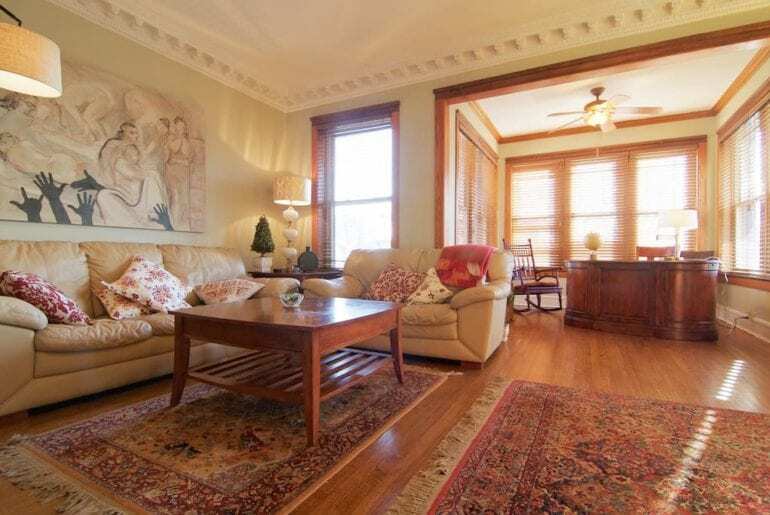 Just in walking distance to the University of Loyola Chicago sits this vintage garden apartment. The unit gets lots of natural light and relaxing outdoor space is perfect for leisure activities. It is outfitted with high-speed Wi-Fi, Cable TV and a fully-equipped kitchen. The one-bedroom apartment can accommodate four guest thanks to a sofa bed in the living room. This makes it perfect for a small family. The apartment goes for just $75 per night. This apartment is a few blocks away from the university and it can hold up to six guests. You have access to the entire first floor of the building inclusive of kitchen and dining room as well as the backyard and sunroom. The apartment has two bathrooms for the convenience of your group. 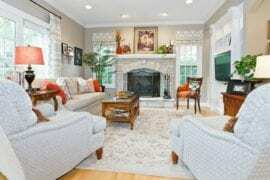 The warm and cozy home which was recently remodeled costs $125 per night. 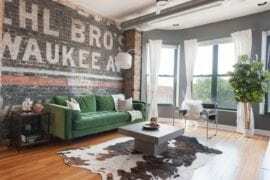 This artistically-decorated apartment can be found on the third floor of a historic flat just one block away from the beach. Guests can walk to Loyola, Red Line, Starbucks, playgrounds and theaters. 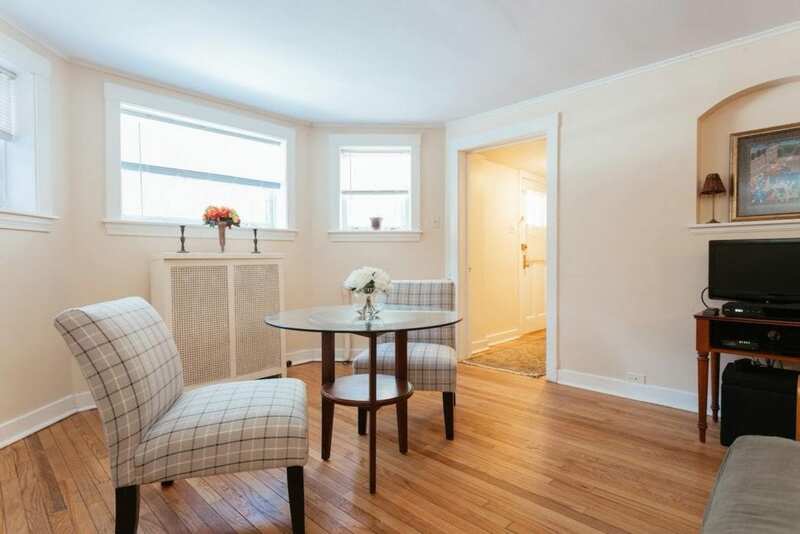 The East Rogers Park apartment has six beds and one bathroom. The bedrooms have furnished with queen/full-size beds with Egyptian cotton sheets, warm comforters, and pillows which feel like a cloud. The living room is spacious enough to accommodate a full group of six people and the kitchen has all the features you will need. This stunning home is perfect for a large group looking for hotel-like accommodation near the university. 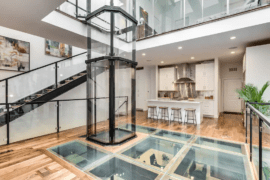 It can accommodate up to 15 people with its seven bedrooms, nine beds, and two baths. The house, which is located in Edgewater has a professionally landscaped backyard with a grill and beautiful border garden with a fountain. The kitchen has a range of high-end appliances. 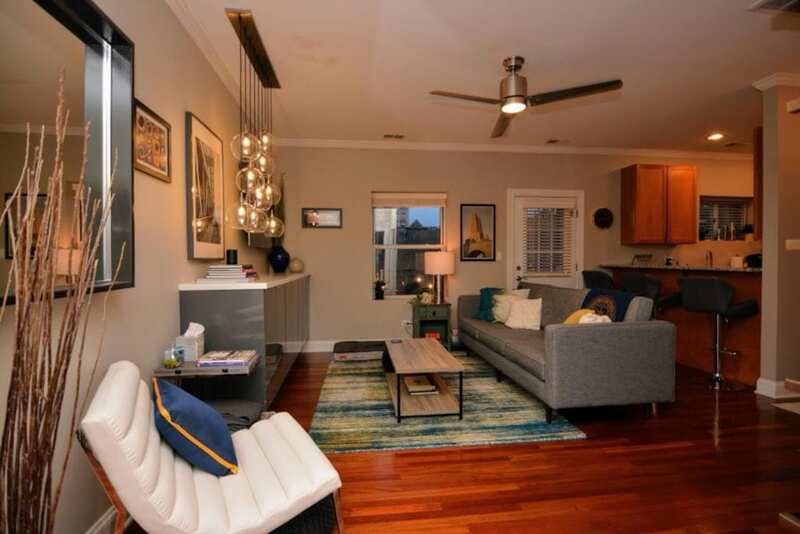 This apartment is close to nightlife, shopping, and many restaurants. 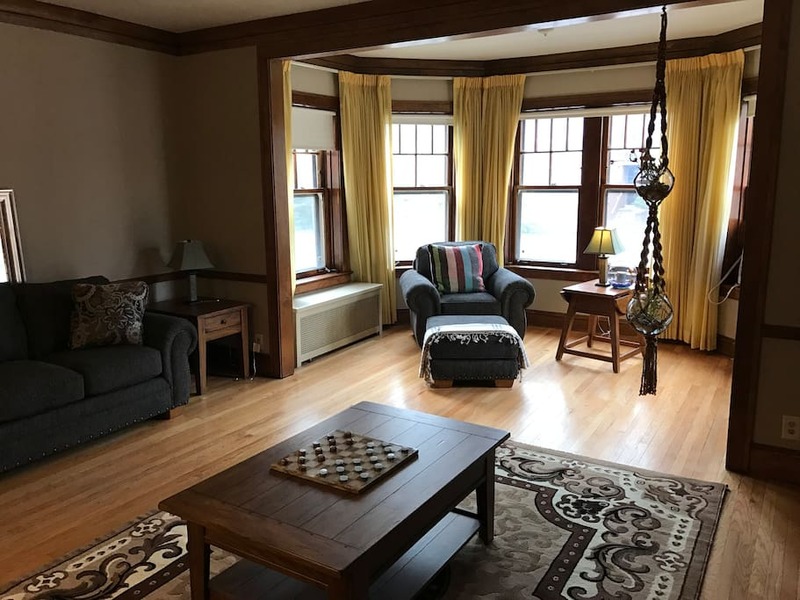 Several amenities including games, books, and baby grand piano will be available for your use. This guest suite with private entrance can host up to three guests. It is steps away from Loyola and close to public transport, making it very convenient for people visiting the university. High-speed Internet and cable are provided along with a washer and dryer. The host is LGBTQ-friendly.